The SAP Mentor nominations can be made year-round, the current deadline for this round is July 27th. On behalf of the SAP Mentor Advisory Board, I invite you to nominate a SAP Mentor. SAP Mentors are exceptional independent community members who share their passion, expertise, and knowledge of SAP products with others. SAP Mentors help bring the voice of community to SAP. They make a positive impact to the SAP community. Anyone who is making significant contributions to the SAP Community can be nominated. Many of the SAP Mentors are super-smart people – but that is not why they are SAP Mentors. That is just a bonus. The SAP Mentor Program seeks to recognize the “glue” that binds the SAP Community together. SAP Mentors openly share their expertise and experiences – but more importantly they inspire others to do the same. They lead by example. If you are considering nominating someone to be a SAP Mentor ask yourself – do they inspire you by their actions? Do they inspire others? Do people want to be like them? Do they openly share their contacts, their expertise and their experience? Do they do this just because that is who they are – not because they expect anything in return? Are they good communicators? Are they approachable? Are they friendly? Do they introduce people to each other – thereby widening everyone’s personal networks. Do they encourage others to do more? And when others do step up do they step back and allow them to shine? Do they demonstrate these characteristics in everything they do? Do they coach kids sporting teams? Do they donate their time to charities, community organisations, etcetera? Are they “glass half-full” people? If you can answer “Yes” to some of these questions you may have found one of the hidden jewels of the SAP Community. Nomination will shine a light on them and thereby increase their sphere of influence. 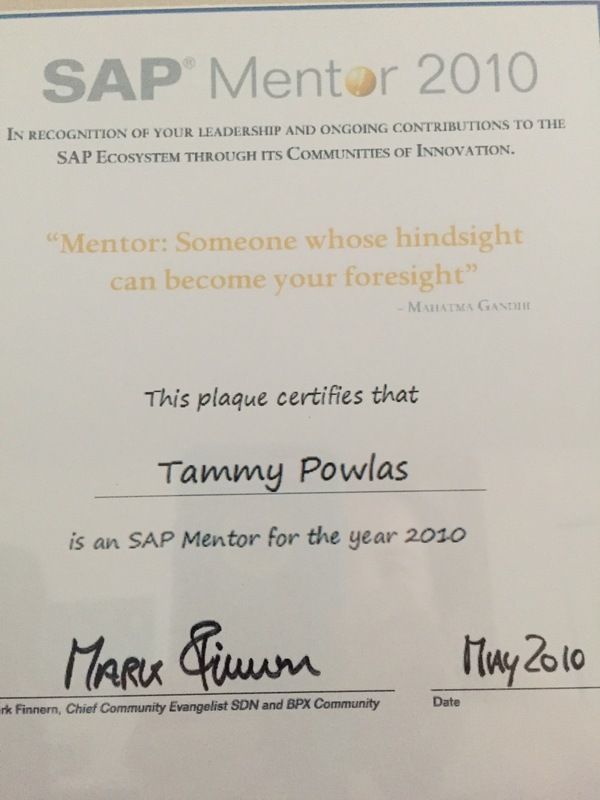 Perhaps it will also inspire someone else to step up and they may become a future SAP Mentor. How are SAP Mentors Chosen? Last year we had an online webcast about How SAP Mentors are chosen. I encourage you to review that before submitting your nomination. Speaking for myself, I highly recommend that you include links to blogs written and links to how your nominee has shared your knowledge with the SAP Community when you complete the survey. You look back in history and see this SAP Mentor Introduction slidedeck on Slideshare.